Antique Tribal Persian Bakshaish Rug 49156 , Country of Origin / Rug Type: Persian Rugs, Circa Date: 1850 – The geometric shapes, contrasting colors and high quality of the composition exemplify this antique Bakshaish tribal tradition of weaving and design from northwest Persia. 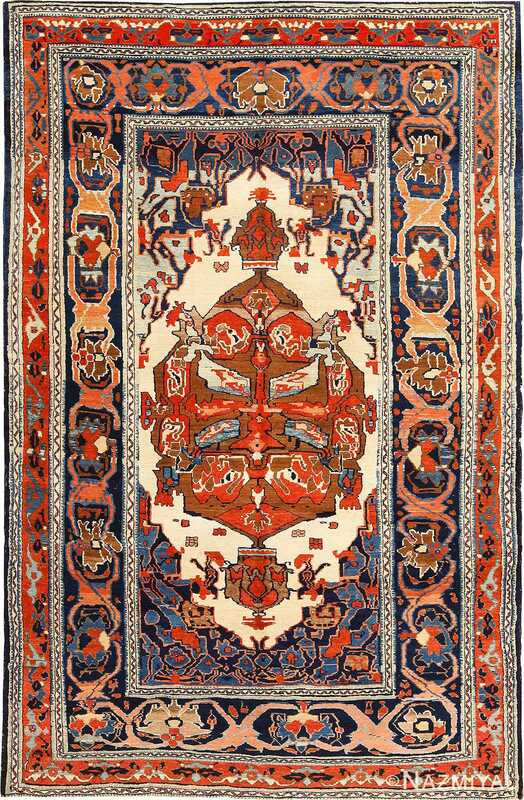 The well-balanced, ornate central motif fills the field and is embellished with stylized flowers, animals and whimsical shapes. 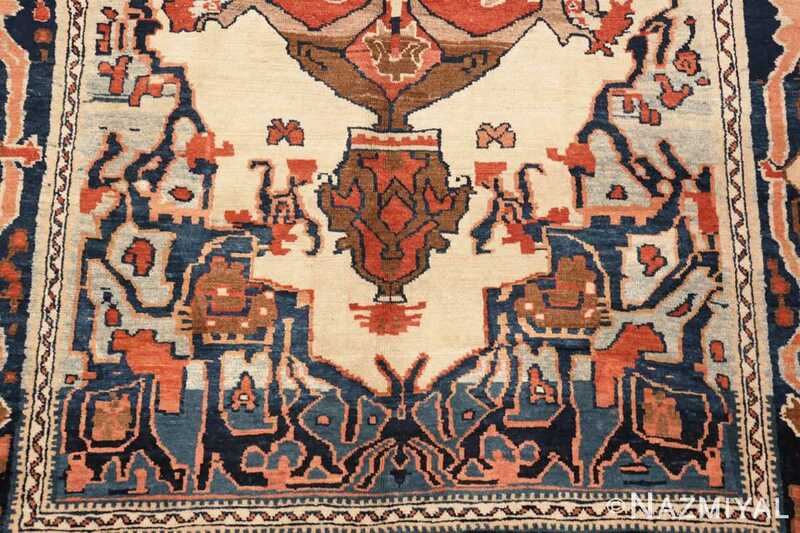 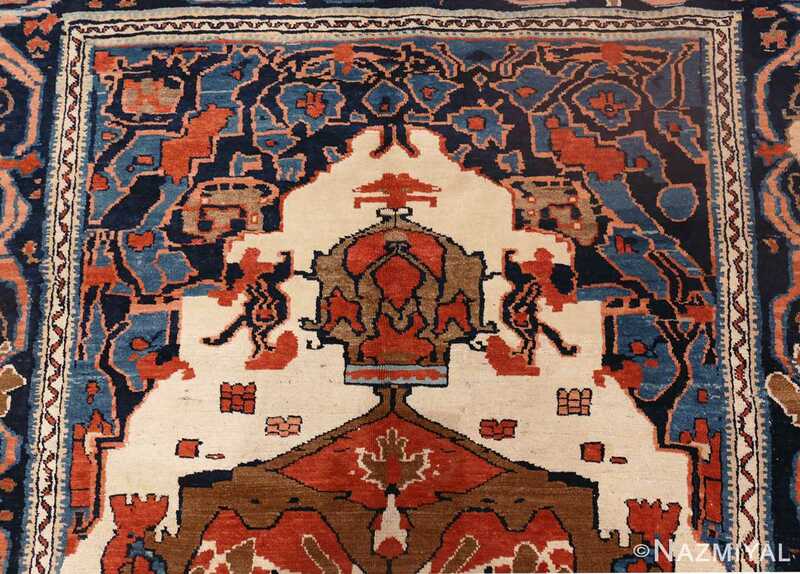 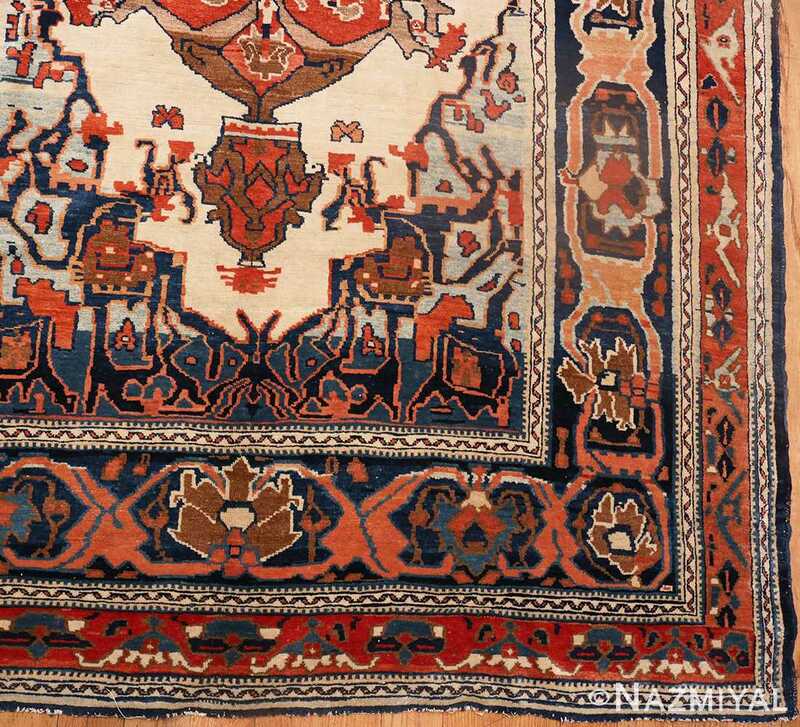 The finely knotted yarns of this beautifully primitive antique rug accentuate the precision of the working of the figures in the field and in the complex border. 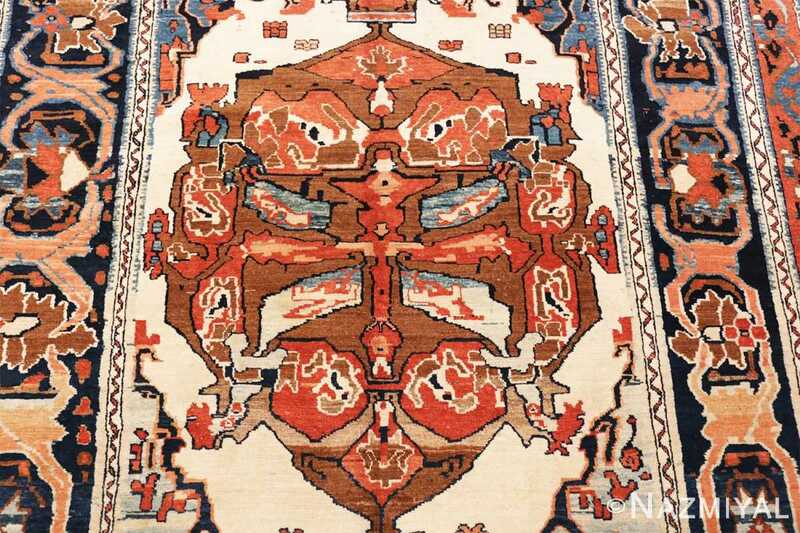 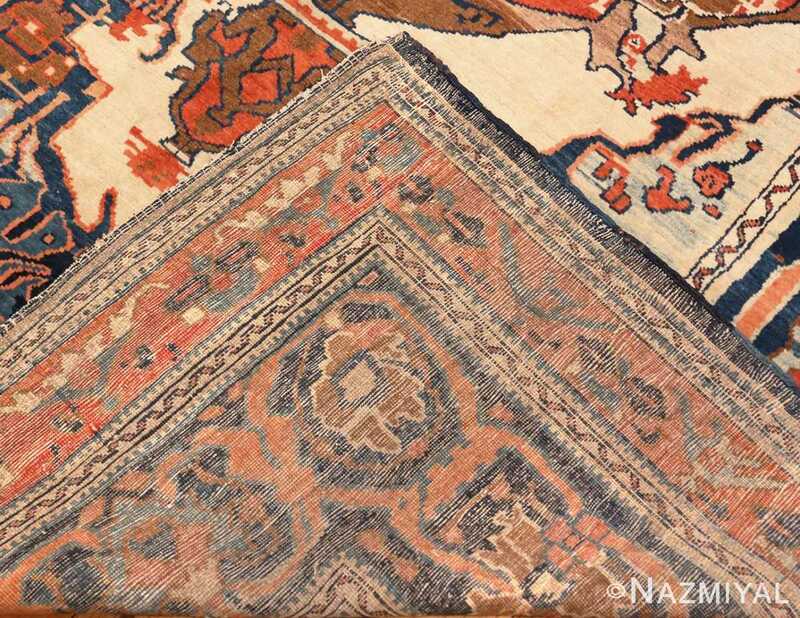 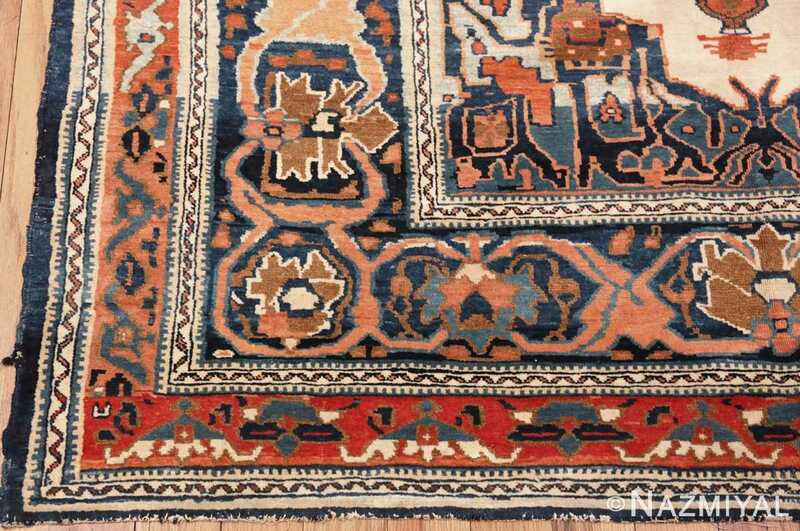 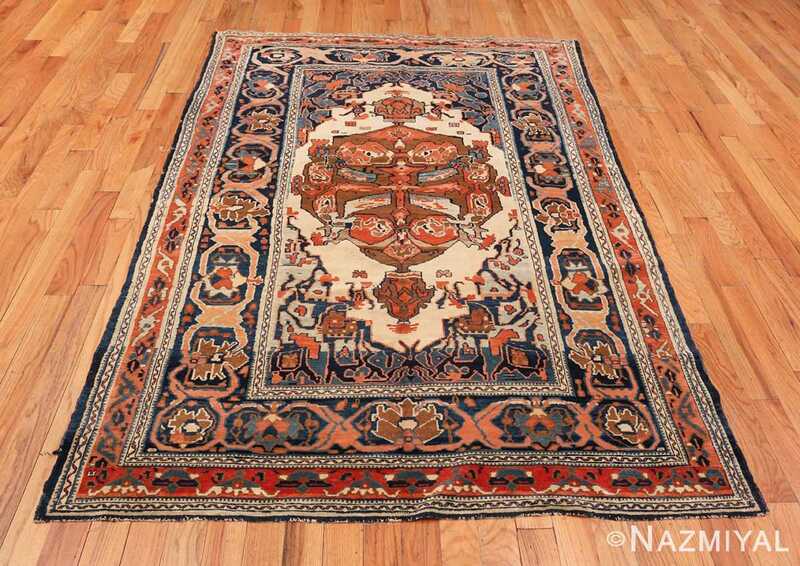 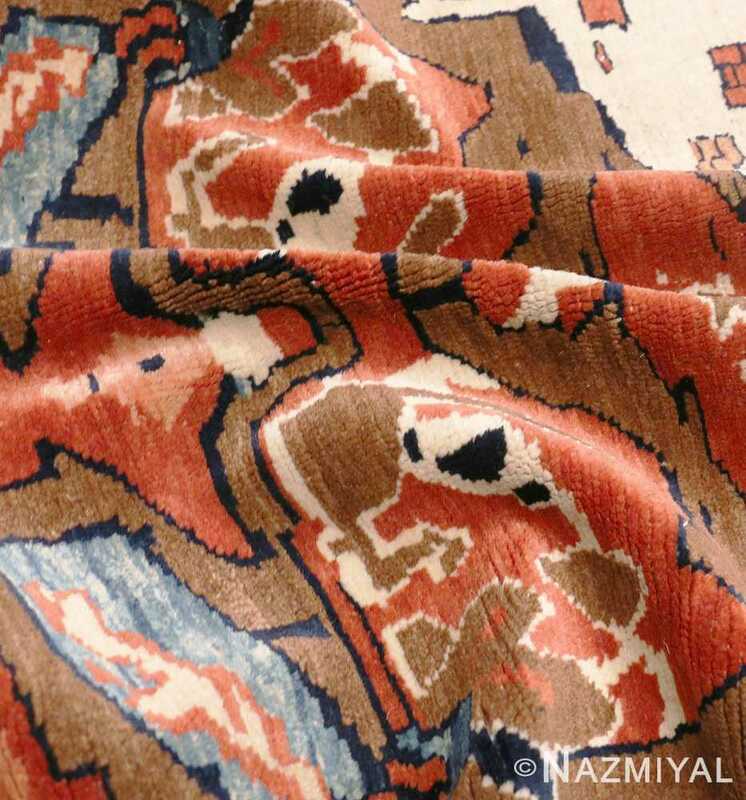 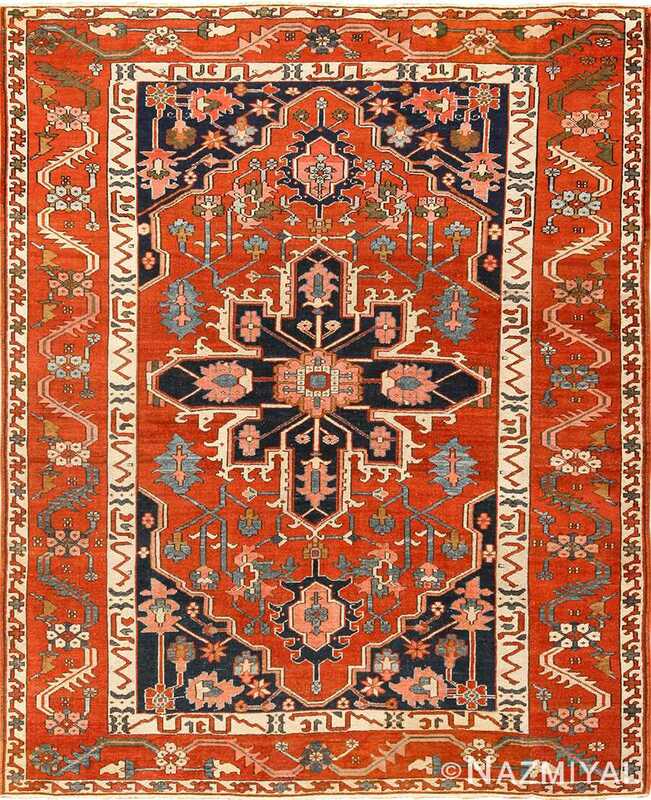 The palette is typical of antique rugs from the Heriz region, consisting of clear colors of Persian blue, turquoise, reds, browns, pinks and creams. 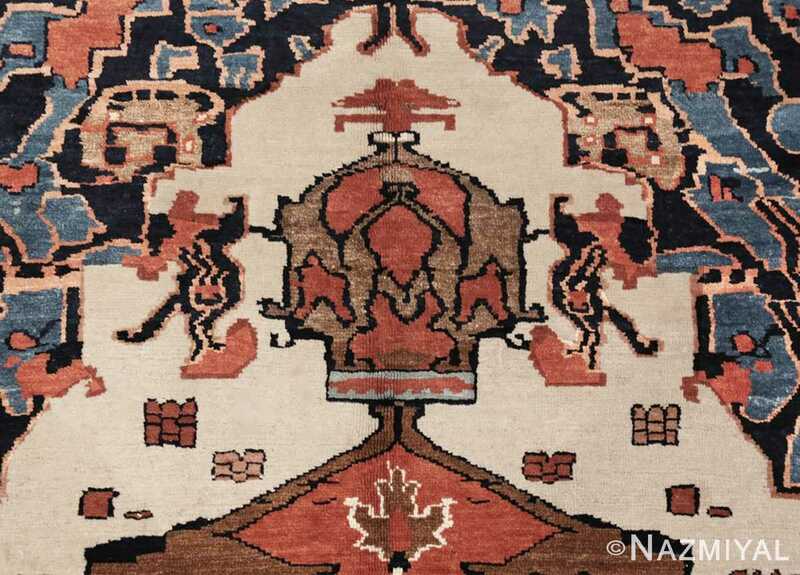 The juxtaposition of dark and light colors contributes to the compelling impact of the design of this breathtaking antique Persian Bakshaish rug. 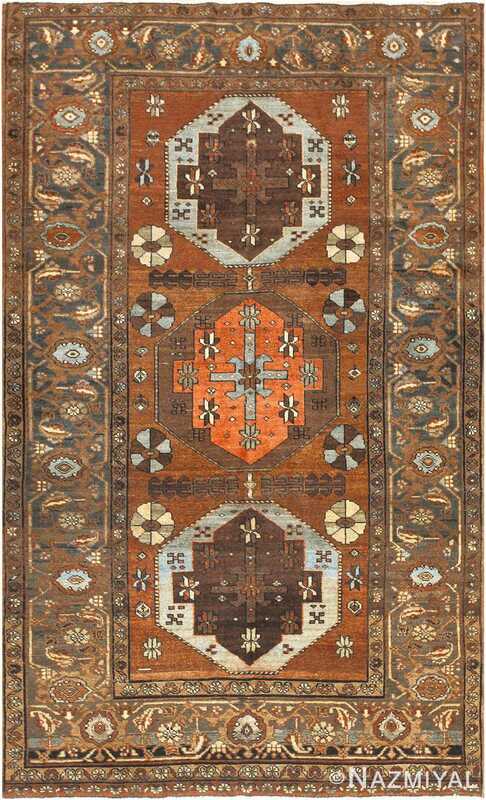 Woven in characteristically neutral colors with a subtle abrashed field and brilliant white accents, this Bakshaish features checkered patterns and traditional motifs favored by semi-nomadic herders.